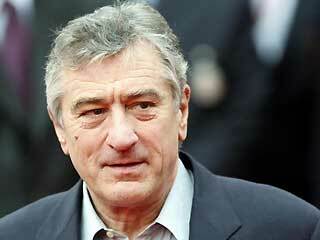 ROBERT DENIRO, ASTON KUTCHER, MICHELLE PFEIFFER & HILLARY SWANK JOINING [NEW YEARS EVE]? New Line's follow-up to Valentine's Day, Garry Marshall's New Year's Eve is currently looking for some similarly high-profile actors to fill key roles. THR brings word that candidates for the sequel include Robert De Niro, Ashton Kutcher, Michelle Pfeiffer and Hilary Swank. Like Valentine's Day, the film will take place in a 24-hour period and will involve an ensemble cast navigating between intertwining stories which are now said to include a hospitalized man in his last days [De Niro], a man who hates the holiday [Kutcher], a businesswoman trying to accomplish her resolutions before the year runs out [Pfeiffer] and a woman producing the Time Square holiday show [Swank]. Previously attached talent include Abigail Breslin and Lea Michele in unspecified roles. Production is said to begin next month with a release date set for December 9, 2011. I'm reading: ROBERT DENIRO, ASTON KUTCHER, MICHELLE PFEIFFER & HILLARY SWANK JOINING [NEW YEARS EVE]?Tweet this!